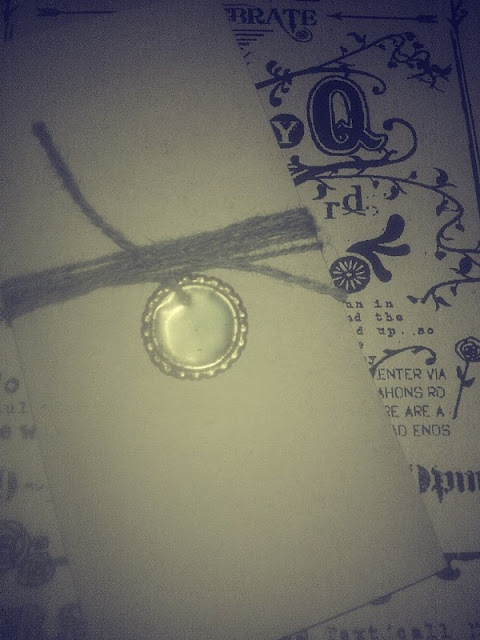 I have made the BaByQ invitations and they are ready to be handed and posted out! I am so happy with the way they have turned out! I wanted to finish the invitation off with something unique and true to the party's theme. Whilst preparing to bottle the BaByQ brew I found a pack of bottle tops in an unopened bag that had somehow gone rusty. Then I had a lightbulb moment, and thought of ways to use them. I decided to flatten them out with a hammer and then punch a hole in them with a nail. Very easy and can be done by anyone. Everyone will have the materials available to them to do this. 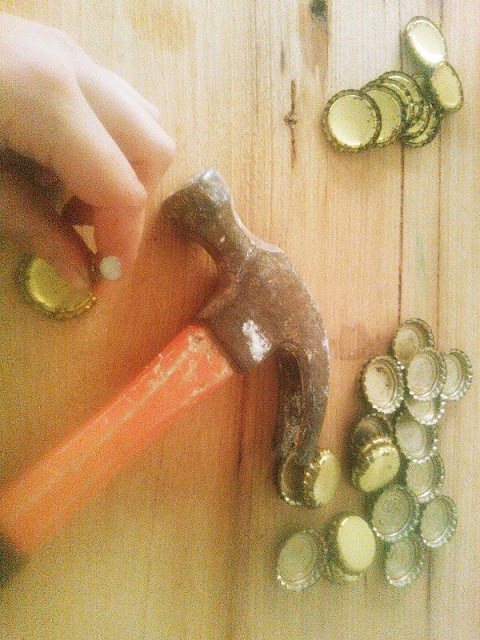 You can buy plain bottle caps from your local brew shop, department store or supermarket. Make them rust by sanding them lightly with some sandpaper and placing in salted water overnight, and them allow to rust. I was 'lucky' that we had some pre rusted. Double over some twine and thread it through the hole and then loop it over and wind around invitation and finish off with a simple knot. Very effective. Flatten bottle top down with a hammer by gently banging around the edge of the top. 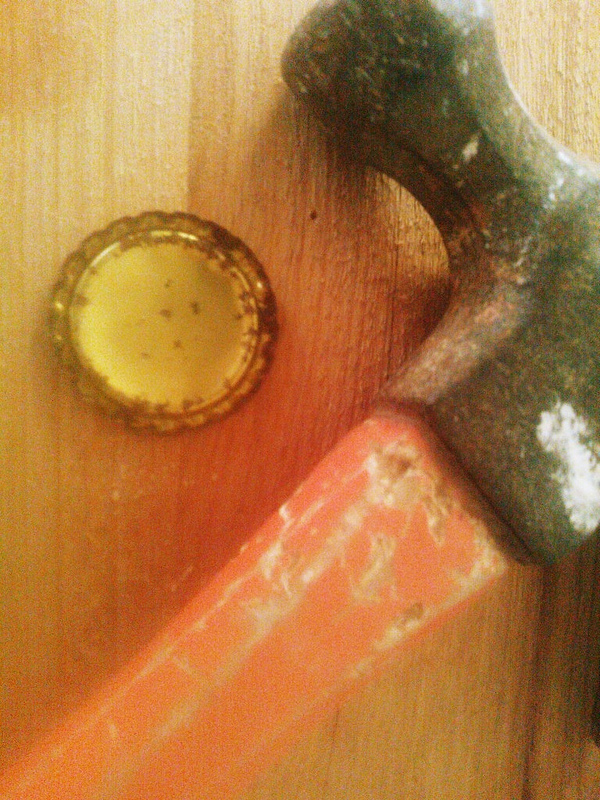 Punch a hole in the top with a hammer and a nail. Wow - that is very creative! No way I could have done that! Well done!